After everything was said and done, everyone had flown away, and the last box of fly-in "stuff" was put away, Ginger and I felt pretty good. The event had gone off rather smoothly. 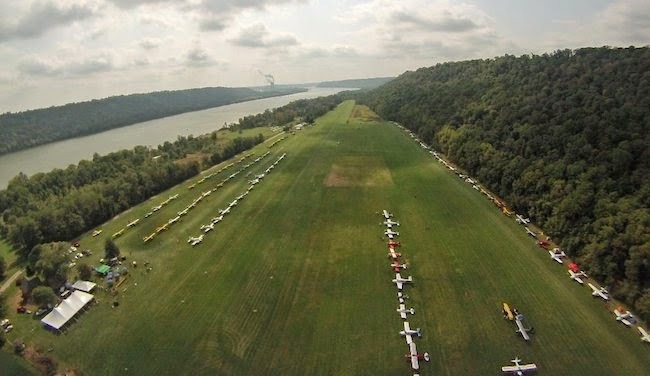 Attendance at the fly-in was better than we expected. The flow of people never seemed to stop. It was a good crowd but it wasn't crazy. A plane would land and a few minutes later so would another. That's how it went. From what we saw, it was one of the happier crowds we could remember. New people and regulars alike, they all seemed glad to have made it. But were we just imagining things? Did a subconscious desire to feel as though we hadn't lost whatever it was we had bring us to those conclusions? There was no way to know. Of course, how would we? Think about it. When friends stop to say good-bye before flying away, if the fly-in was bad are they really going to say "This fly-in sucked"? No, they're going to say they had a great time and look forward to the next one. That's how people are. So again, how do you know if people actually had a great time? For me, the best judge is what people say to others when you aren't around. Some post comments in online forums, others discuss it in conversations you hear of second-hand, and a few send messages that in turn get forwarded to us as "see I told you so's". Yet, what you never seem to get is an honest to goodness fly-in review from someone who as far as you knew was just there to have a good time like the rest. When magazines show up to do articles on events, you know they're going to say good things. Everyone knows they're there and nothing is truly pure about their experience. Can you remember the last time you saw a bad review of a flying event in a publication. Have you ever seen one? So how then do you get an honest review? That's a great question. Until recently, I don't think I had ever seen such a thing. Then someone sent us this link. 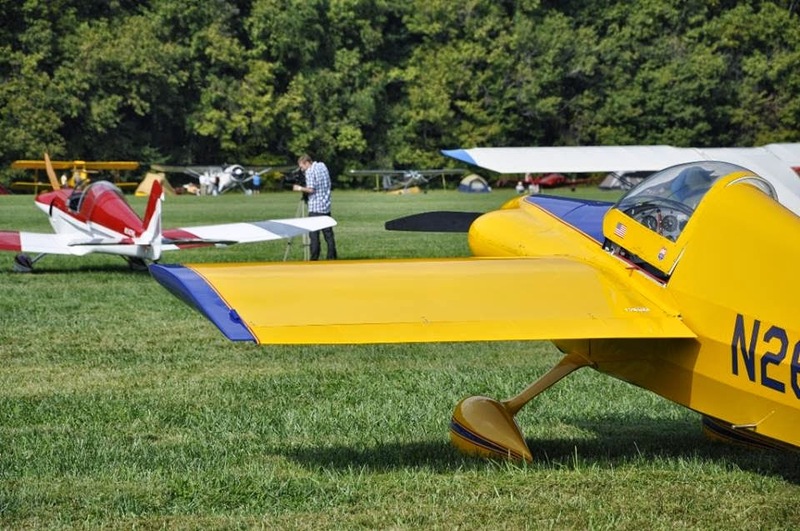 It is a review of the fly-in, written by Tori Williams, found at GlobalAir.com. To say it made us happy is an understatement. Tori had lived the event from the standpoint of a typical fly-in participant and gone home to put her experience to words. What she said was heart-warming. Yet, it was the fact it was unexpected that made it so special. Nobody who had anything to do with the gathering had any idea of her intent. What she saw is what you see - or at least we hope it is. Her review describes the event as if she could read our minds. Had she asked us, "What would you like for people to take away from the fly-in", what she experienced is very close to what we would have said. In fact, I can't imagine a better review. If you would like to see what she had to say, click here. After having read about Lee Bottom for YEARS and then hearing about The Tornado , I found myself thinking " I'll NEVER get to 'Experience' it . So when you announced the WTF204 , I knew I HAD to get there . I made arrangements to be off work ,made a list of things to pack and tried to prepare my Bride of over 29 years for Her First long flight in our Cessna 120 . She had only flown about 1 Hour distant so this will be a challenge . The Weather wasn't the best but We decided to ' go Up and have a look ' . Leaving the Home Airport wasn't bad so we continued on . After an ' Interesting 'crosswind landing at 0I8 , for a Stretch Break , we continued on to Lee Bottom . After landing and being Greeted we ventured over to the Food Tent . As we were sitting there Deb commented "This was Fun , we should camp next year " Until that point , I think she had only Tolerated my trips to various airshows and other aviation events because she knew how much I liked them . THIS was the First Time she actually seemed to enjoy 'Being There' . Just taking in the Planes and People for their own sake . Sooo I want to Thank You for putting on WTF2014 . Not only did I get to Experience Lee Bottom , we made a Convert out of My Wife ! What could be Better ? !